Clay Aiken – Things Are Moving Fast! Is your head spinning? I have to say, the last 24 hours have to be some of the most interesting I have encountered in many years. Yes, I am spinning, but I am excited…excited for Clay Aiken and his new venture. Today, this blog has a bit of this and a bit of that. There are a few things that need to be mentioned and that are really fun. Twitter – I couldn’t keep up today. There were so many tweets all day. But the following tweet was important because it addressed a in-accurate post. 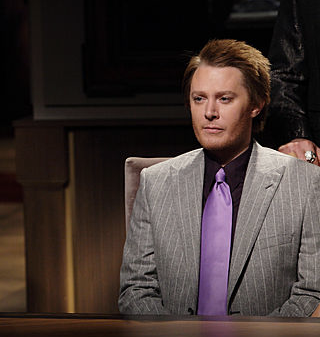 Will Clay Aiken run for Congress? I asked him. He neither confirmed nor denied! Hmmm!! #clay4congress? Neither confirmed or denied? Sounds like a political correct answer. Google Mentions – Can you believe? At 11:30pm, Pacific Time, I put in a google search for Clay Aiken. I was amazed that the top of the page said that there were 79,800,000 results! Now, that’s a lot of mentions on google! Yahoo – Did you know that on Friday, Clay Aiken trended at #1 at Yahoo for most of the afternoon? Seems like lots of people think he is an interesting man! Greg In Hollywood – Congressman Clay Aiken? If I had not seen his thoroughly impressive appearance on CBS Face the Nation a year or so again, I would never believe it. But Clay Aiken is a smart, well-spoken guy who is reportedly considering a bid for Congress in North Carolina’s 2nd District, according to the Washington Blade. Clay, one of the most successful singers in the history of American Idol, was the runner-up during the show’s second season. Greg Hernandez has always been supportive of Clay. I like what he said. …The ‘Spamalot’ star has been working with Betsy Conti, a Raleigh-based political strategist who formally worked with presidential candidate Al Gore, however it remains unclear whether he has officially hired her to help with his campaign. Another Democratic source revealed Aiken visited Washington D.C. in December to meet with pollsters at Hart Research Associates to scroll over polling data with one of the firm’s partners. Besides this great article that has 5 paragraphs, there is a nice biography of Clay at the bottom of this article. BroadwayWorld mentions Clay often. I think they would love to see Clay on Broadway again. Just a quick note…If you have the time, your comments are always appreciated! I would love for CANN to show up on the first page of Google searches for the next few days and comments help! Do you remember this wonderful speech from Clay Aiken? Oh yes, my head is spinning indeed! Wowzers! Can you believe it? I am so happy for him yet I'm always going to worry about the haters. Been reading the comments and 75% are positive! I am amazed. I think he can handle it. Gonna miss that amazing voice, but we can at least see and hear him! What an amazing man! Love him and will always support him! 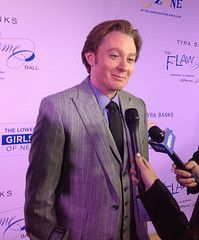 For me, to be a fan of Clay Aiken is to be a fan of the man in all aspects, not just entertainment. He has shown me over the years with his passion and dedication to his causes, with his activism,with his intelligence, with his sincerity, and with his strength that he would be great in public office. I am excited about this chance for him. This has definitely been a crazy time. That speech shows how good Clay could be if elected. There were the usual haters but it was wonderful to see a lot of positive comments in all the stories. The news did not come as a surprise. However, I was not expecting it this soon. My sister said he has to face all those mean people in the world. I told her he's used to that. He has a thick skin now. He can handle all the haters. Good luck to him. I hate to admit but by 10pm I had Clay Aiken internet overload!! So many of the same articles with the same story. I try to avoid reading the comments b/c I will go into total Clay defense mode. I know in the past he has said to ignore them but some of the comments are ridiculous!! I just hope we hear from Clay soon. OUR soon….not his! So excited for Clay, he would be great in Congress, he’s such a wonderful caring man and would do a lot of good, if he does decide to run I wish him all the best, I’m his fan always, God bless him. Also I forgot to say that I loved the speech he made about equality for all. In Clay's speech, he did not mention the "ADA" The Americans Disability Act. That is important to all people with disabilities. I will say that Clay's speech was about equality for all. Clay Aiken in Congress? It's about Damn Time! I always thought Clay would begin his run in politics more locally in Raleigh or N.C., but to have him step right up to Washington (hopefully) is energizing. Can't wait for his official announcement. Error: Error validating access token: Session has expired on Tuesday, 21-Aug-18 16:13:01 PDT. The current time is Wednesday, 24-Apr-19 01:01:11 PDT.